I don't know about you, but I'm ready for fall. In order to help you plan for fun things to do, or perhaps even a trip to North Carolina, I partnered with NC's Tourism Office this week to showcase some of my State's best festivals and events. With its breaths of fresh air, autumn draws out North Carolina’s festive nature. Every weekend brings events that pick up different wavelengths to celebrate everything from the glorious foliage, the truest blue skies, vivid sunsets and the particulars that impart local color. Here are some things going on in North Carolina this fall beginning Labor Day weekend through October. Come see me in the Tar Heel State. I may be at some of these events myself. 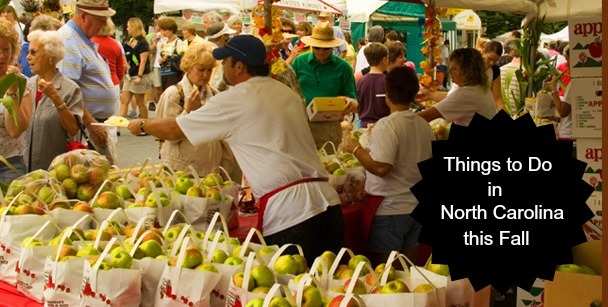 Henderson County, one of the nation’s top apple producers, celebrates the prized fruit with a street fair, orchard tours and other festivities in the mountain town of Hendersonville. Adding colors beyond the apple spectrum are the painted fiberglass bears in the annual Bearfootin’ public art display. Come and see the Antique Tractor Display, Steam Engines in Operation, Grist Mill, Wheat Threshing, Molasses Making, Blacksmithing, Antiques on Display, Restored Farm Tractors, Antique Farm Machinery (some in operation), Antique Cars/Trucks, Corn Shredding, Shingle Mill, Hit and Miss Engines, Rock Crushing, etc., Farm Animals (Horses and Oxen) in working harness on display and in demonstrations during the weekend. Bluegrass music and clogging. Fun for the entire family. Paddlers in neon-colored kayaks test their skill and stamina in an acrobatic display at Nantahala Gorge, which will host 2013’s ICF Canoe Freestyle World Championships. The weekend coincides with the sesquicentennial Horace Kephart Days, which honors a champion of Great Smoky Mountains heritage. A stone's throw from the Blue Ridge Parkway, Sparta creates an old-style festival for modern times. It features crafts, music and demonstrations in blacksmithing, cornmeal grinding, chainsaw carving, cider pressing and other skills. Stick around for the evening’s entertainment at the Alleghany Jubilee. Rugged trails with 28,000 feet of climbing challenge riders amid the waterfalls, creek crossings, rhododendron tunnels and vibrant foliage of Pisgah National Forest near Brevard. The $20,000 cash purse attracts top racers. FayettevilleSinger Aaron Neville will headline a free concert in honor of the town's 250th Birthday on September 29 in Festival Park in downtown Fayetteville during a special weekend. The International Folk Festival is an annual celebration of the community's diversity. One of the highlights of the festival is the Parade of Nations. Around 100,000 people attend each year. Hundreds of participants cover the state’s geographic and cultural spectrum on Cycle North Carolina’s mountains-to-the-coast ride. Host cities include Lake Lure, Shelby, Matthews, Rockingham, Lumberton and White Lake. Riders can opt for the full run or shorter legs. At prime time during the fall migration, as many as 500 Broadwing hawks might be seen at this iconic site on the North Carolina Birding Trail. Flock to the Rock features guided walks, workshops, photography and other activities and also showcases the park’s newly refurbished trails and modernized elevator. The highest ski resort east of the Rockies once was home to the Land of Oz theme park. Autumn at Oz returns Dorothy and friends to the Yellow Brick Road for a weekend celebration with music, children’s activities and fun on Uncle Henry and Aunt Em’s farm. 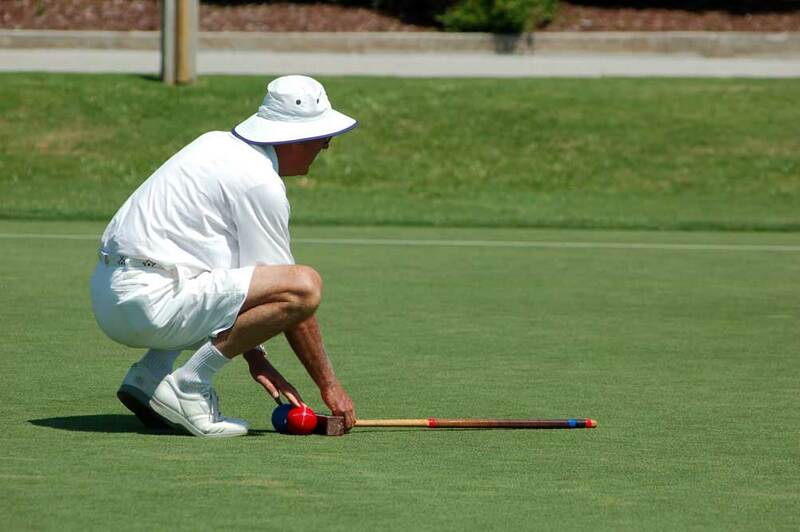 Croquet balls add pops of color on the Bald Head Island Club greens, where fierce U.S.-British rivals compete for honors. Nature one-ups the display with the golden shimmer of cordgrass in nearby marshes and brilliant sunsets across the autumn sky. Thousands of chrysanthemums in the Tryon Palace gardens delight the eye during New Bern’s lively festival, which fills the waterfront and restored downtown with music, art and roving entertainers. New this year is the triple-deck SeaFair, a 288-foot yacht full of original art, outdoor life exhibits and more. The Piedmont’s rolling woodlands extend the scenery skyward with 50 hot-air balloons. 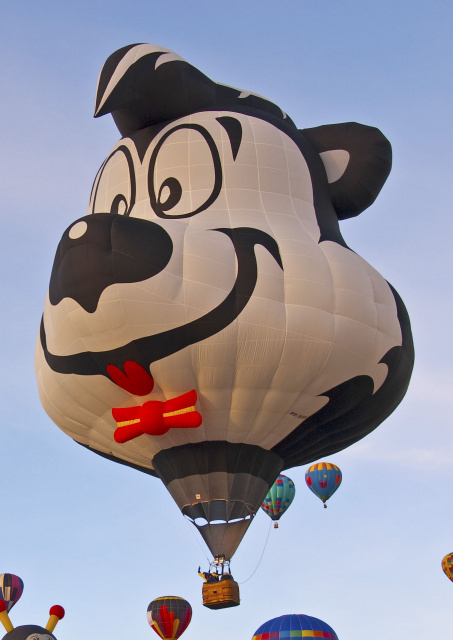 Events include mass ascensions, an evening balloon glow, competitions, balloon rides and an artisan village. North Carolina’s wines and craft brews can also be sampled. Daniel Stowe Botanical Garden, transformed by fall blooms and textured plantings, showcases Halloween specialties such as eyeball plants and bat-faced cuphea. Added treats await in the Orchid Conservatory, which features a 16-foot orchid and waterfall wall. Nonagenarian artist Vollis Simpson sets color in motion with his wind-powered whirligigs, the centerpiece of this street festival in Wilson. In 2013, the town will officially open the Vollis Simpson Whirligig Park, which will feature 29 of these kinetic collector’s items. Wondrously varied coastal environments create a kaleidoscope of vivid sights and memorable sounds with migrating birds, howling wolves and changing flora. Festival excursions take visitors to one-of-a-kind sites to explore it all. North Carolina celebrates more than color in September and October. These signature festivals showcase NASCAR, barbecue, music and other claims to fame. With 175 bands at 15 venues, this showcase of local, regional, national and international talent reigns as a destination music event. Styles include rock, hip-hop, alt-country, metal, dance, punk, classical, noise, drone, folk and some that defy the categories. After creating a termite maze, watching roaches race and snipping a Scherenschnitte bug, visitors will be ready for this festival’s pièce de résistance: Café Insecta, where the menu has been known to feature Cricket & Crawfish Jambalaya, Mealworm Maque Choux, and Chirps and Superworm Salsa. A Southern tradition for more than 50 years, with mule events, rodeos, arts and crafts, street dances and a concert. 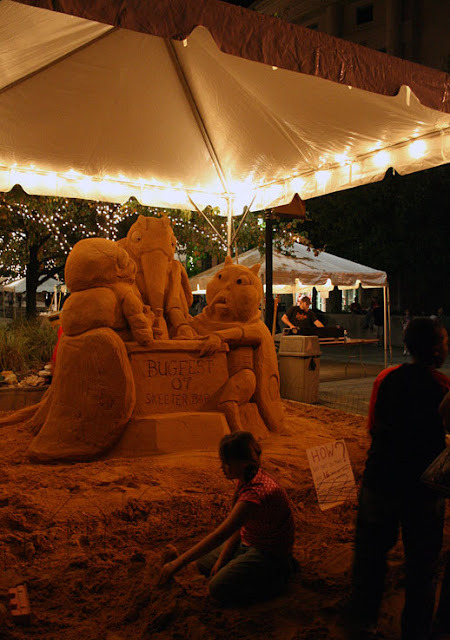 The festival is a Library of Congress Local Legacy event. The Muscadine Harvest Festival celebrates North Carolina’s native grape at the Duplin Events Center. The event features live music, more than 20 wineries, a cooking contest, crafts, educational seminars and a shag dance contest. The local-girl-turned-Hollywood-goddess shares the spotlight with Gregory Peck, her friend and co-star in three classic films, at this year's edition of the annual festival presented by the Ava Gardner Museum. The weekend features themed exhibits, heritage tours, screenings and tributes. One of a handful of fairs that top 1 million in annual attendance, North Carolina’s 11-day event celebrates the state’s agricultural heritage on a 344-acre site that includes Dorton Arena, a 1952 landmark of architecture and engineering. Forty-three of the world’s greatest drivers battle for the prestige of winning the only night race in the NASCAR Sprint Cup Series. Juried showcase of works created by members of the Southern Highland Craft Guild, which represents nearly 1,000 craftsmen in nine Southeastern states. Works include fiber, clay, glass, metal, paper, wood and other media from more than 200 exhibitors. Lexington’s famous barbecue is the draw at the festival, which features music and other activities plus the unveiling of Childress Vineyards’ 2012 Fine Swine Wine. This information was provided by VisitNC and local county Tourism Offices. There are many, many other fun things to do in North Carolina, and I just couldn't list them all here.